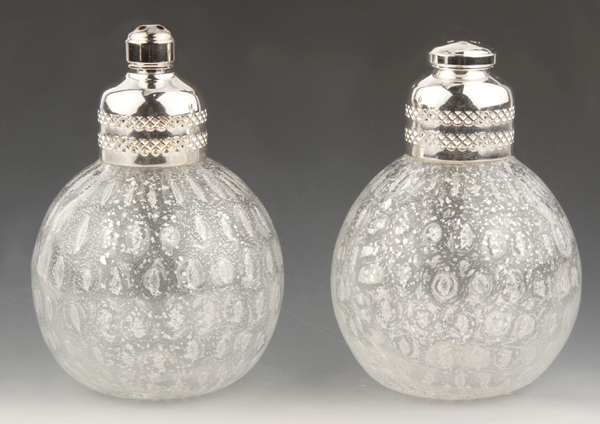 Mouthblown Venetian Glass Salt and Pepper set in a timeless style of clear glass fused with a drop pattern of .925 Sterling Silver foil. Finished with sterling silver tops. 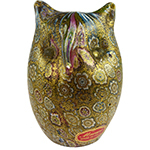 These make great House Warming Gifts, Wedding Gifts, Anniversary Gifts and Holiday Gifts. Approximately 2 inches in diameter and 3 inches tall.